While most of the artisanal brushes here are of the natural media type, there is a lot that can be done with custom Photoshop brushes including emulating art styles, in this case, Pointillism which was popularised by Georges Seurat and Paul Signac in the late 1880s. This digital drawing was drawn with the Pointy Pop brush available here . The brush scatters a cluster of dots around your stylus as you draw, larger and more wide spread the harder you sketch. Maybe Seurat would consider it cheating, but couldn’t you make the same complaint to the first person who tied a tuft of hairs together to create the first paintbrush, or using a mahl stick, or how about a paint-roller? Are those all examples of cheating or just using the right tool for the job? 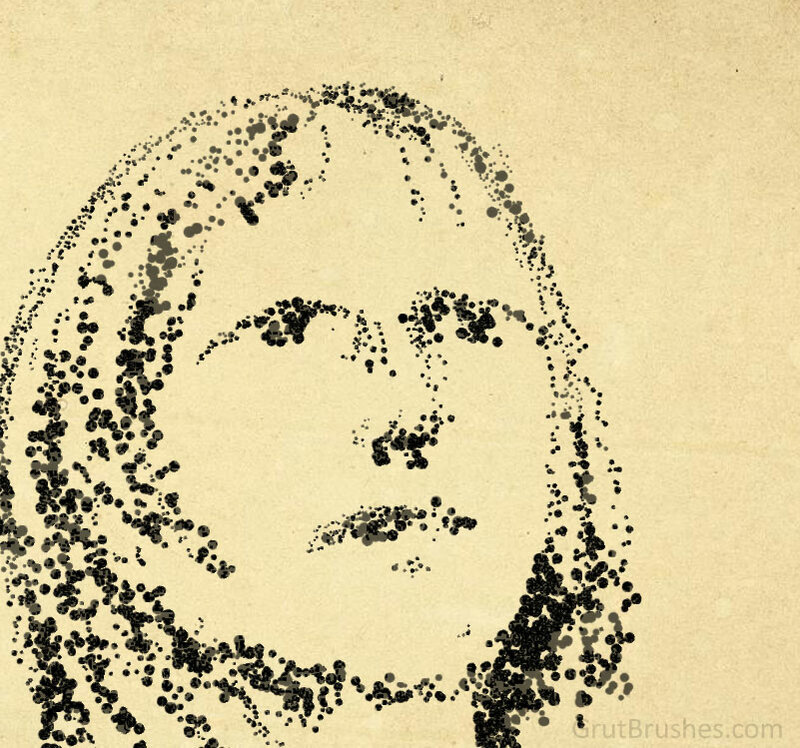 While you think about it, get the Pointillist Photoshop brush and start cheating today.